Special offer for 2 night bookings and Ibis and Ibis Styles properties, valid for bookings until 10 November 2013 and stays from 16 December 2013 to 23 February 2014. The offer is valid only on the Spanish website of Ibis. 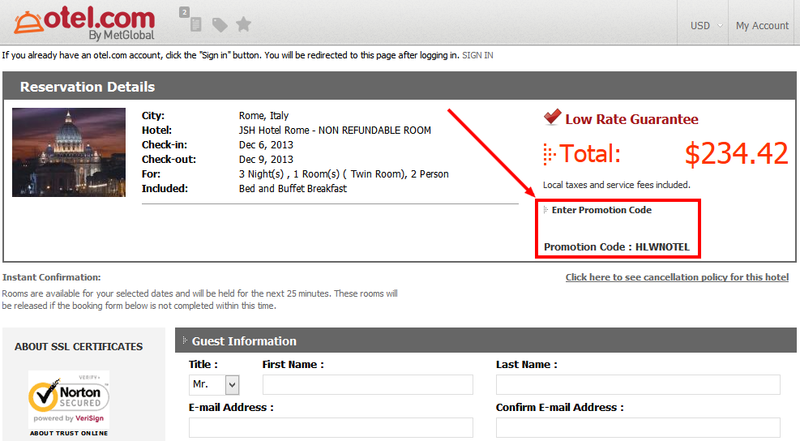 For example, 2 nights over the week-end 21 - 23 December 2013 at the Ibis Amsterdam Centre have a total price of 104€. The same room costs 202€ on booking.com. 10% Hotels.com promo code valid for any bookings made until 31 December 2013. Thomas Cook discount code valid for hotel purchases of minimum £300. 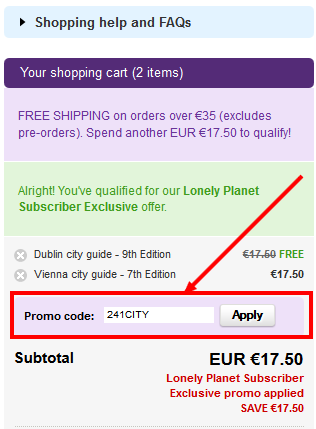 Deal valid during this Halloween period, for all Lonely Planet ebooks. Viator, one of the best activity providers for travelers, offers a 50% discount for bicycle rental in Central Park, NYC. For example, a 2 hour rental will have a total price of 10$ / person, as opposed to the usual 20$. budgetplaces.com offers a 6% promo code valid for all destinations. Offer at the Vienna Urban Resort*** from HRS Deals, at 44€ per night, including breakfast, to be booked by 28 October 2013. Offer valid for stays for most part of the months of November, December 2013 and January 2014 (including Christmas, but excluding New Year´s Eve). 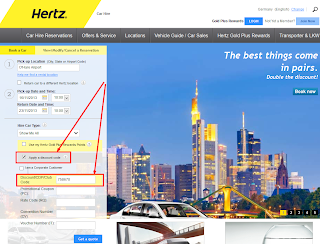 For bookings of minimum 3 days, Hertz offers 20% of the car rental rates in the USA. Lufthansa offers a coupon for 20 euro discount on your next flight departing from Italy. 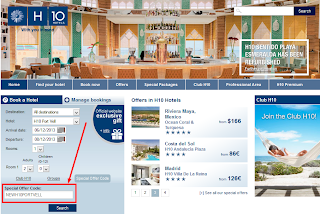 The HotelClub.com promo code is valid for hotel stays until 31 March 2014. 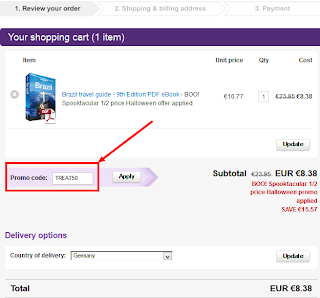 The coupon code is to be applied at the top of the payment window, in the section "Promotion code", just above the credit card information. Lufthansa is currently offering a coupon for 200 Swedish Krona discount (approximately 20 euro) on your next flight departing from Sweden. The coupon must be redeemed until 7 January 2014 and flights must take place until 31 March 2014. 50% discount from the normal price, offered by HRS Deals, including breakfast, for stays until 31 January 2014 (except the New Year's Eve period). For bookings until 20 October 2013, Secret Escapes offers a 35% discount on bed and breakfast rates at the Ramada London Docklands. Bookings are to be made directly on the Secret Escapes' website. For example, two nights over the week-end 6 to 8 December 2013 have a total price of £160, breakfast included. The same room costs £247 from booking.com. The quality hotels chain H10 just opened a new 4-star hotel in the centre of Barcelona, called H10 Port Vell. For stays from 1 November 2013 until 31 March 2014, they offer a 25% discount. 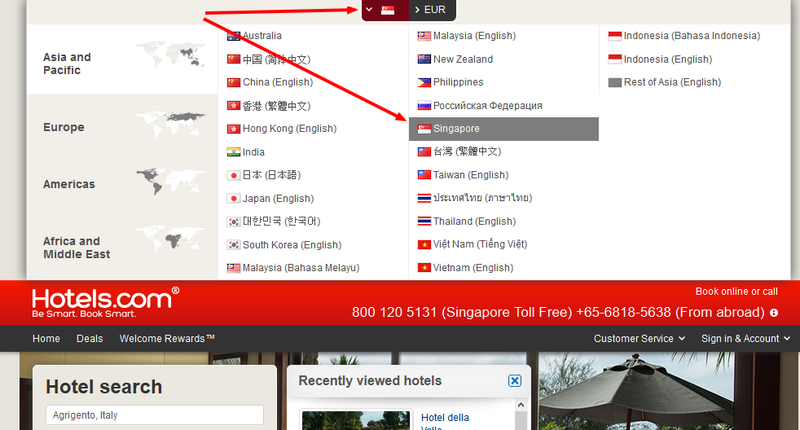 For those hotels which are not part of international chains, you can also use the 15% ebookers discount code. Orbitz.com offers a 150$ promo code for holiday packages of minimum 4 nights with a minimum value of 1 000$ (bookings until March 31, 2014 and travel until June 30, 2014). 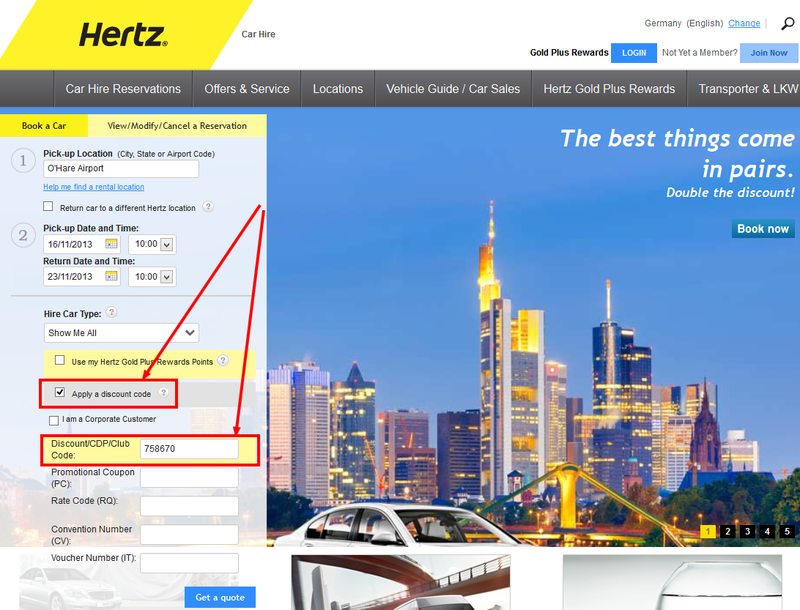 The Orbitz voucher code must be typed on top of the "Checkout" page, in the section "Promotion code", just above the credit card information. The code is not valid for trips to Las Vegas, Nevada. Otel.com is one of the online travel agencies that we always check when booking our holidays, especially for upper class hotels where it can offer the best prices. For example, 3 nights during the week-end 6 - 9 December 2013, at the JSH Hotel**** in Rome, Italy have a final price of 234$ (that is 78$ per room per night, breakfast included). The same room costs 360$ from booking.com. RatesToGo (Orbitz group) offers a 20% discount for stays until 31 December 2013. 20% CheapTickets.com voucher code for hotel stays worldwide until March 31, 2014. A 10% hotel voucher code is available at Expedia France for reservations made until October 24, 2013, with hotel stays until April 20, 2014. The discount is applicable to the Expedia rates ("Offre Expedia" in the French version), excluding taxes and fees. Valid for purchases of minimum 50 euro. 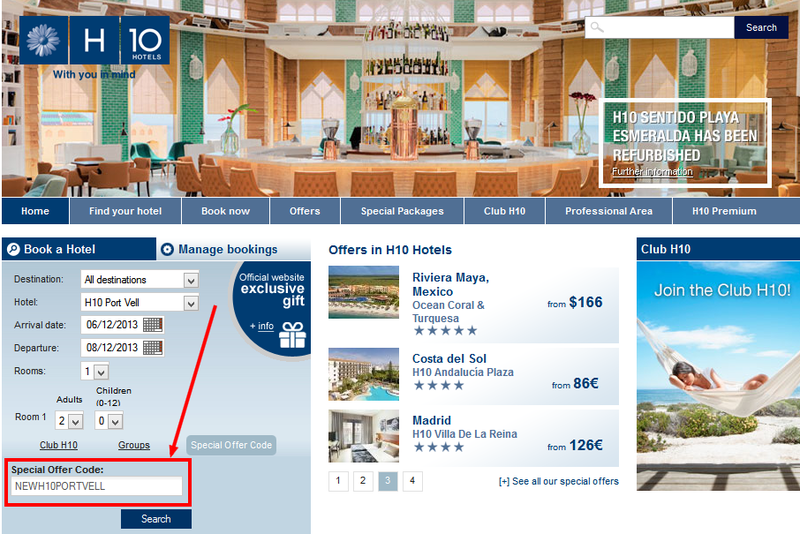 To obtain the discount, type the Expedia coupon code in the payment window, in the section promotion code (above the credit card information). The discount is applicable only on the French version of Expedia. If you do not understand French, open the English and French versions of Expedia at the same time and go through the reservation process in parallel, but make the final selection and payment in the French version, to be able to use the hotel promo code. Rooms at 59€ / night (breakfast included), for stays until 28 February 2014. Reservations must be made online via Groupon´s website. 10% hotels.com voucher code valid for any bookings made until October 14, 2013 (for travel until December 31, 2013). To get the 10% discount, proceed to the reservation as usual, then, in the payment window, look for the section "Apply a discount code", below the total price, on the right side of the screen. There type in the code and push the button "Apply". Swiss Air Lines offers the possibility of purchasing a 300€ voucher by paying only 250€, thus resulting in a 50€ discount. The ticket must be purchased until 30 November 2013 and travel must take place until 31 March 2014. The voucher is valid on flights departing from Italy, Spain, Germany, Austria, Romania, Serbia, France, the Netherlands, Belgium, Luxembourg, Greece, Portugal, Turkey and Ireland operated by Edelweiss Air (WK) or SWISS (LX) to any destination of the Edelweiss Air network or to an intercontinental destination of SWISS, except for Tel Aviv and Cairo. There are three Orbitz promo codes, valid for stays worldwide until 31 March 2014. 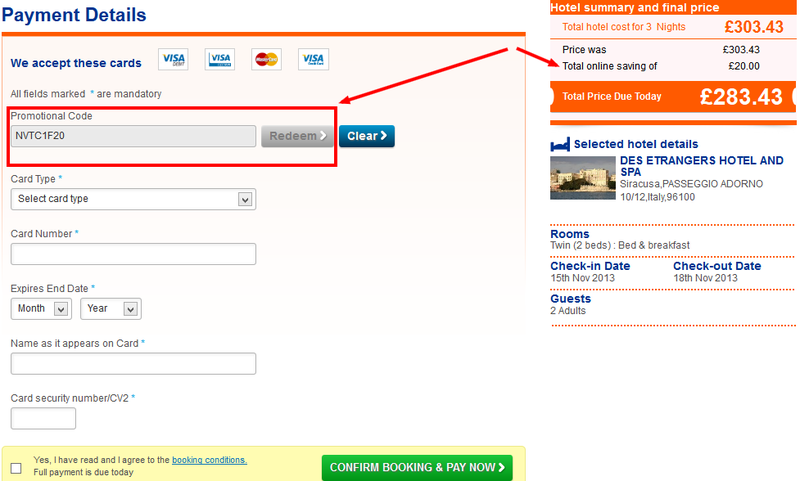 Expedia Australia offers a 10% coupon code for stays throughout 2013 and 2014. 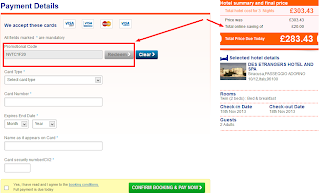 The Expedia voucher code is valid for stays of minimum 2 nights. 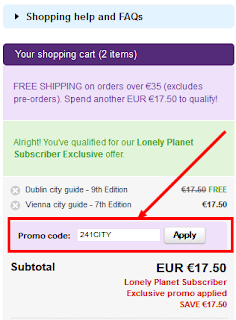 The coupon code must be typed in the payment window, in the section "Enter a coupon or promotion code", just above the credit card information. The HotelClub.com promo code is valid for hotel stays until 30 June 2014. The discount is to be applied at the top of the payment window, in the section "Promotion code", just above the credit card information. For bookings until 6 November 2013, Disneyland Paris offers discounted travel packages, including free half-board and free park tickets. The current "Magical Winter" promotion is valid for arrivals until 2 April 2014. CheapTickets.com offers three promo codes this week, with increasing values, depending on the total purchase amount. The coupon codes are valid for hotel stays worldwide until March 31, 2014.